The North Central Seattle Kiwanis Club is holding an open house from 6:30 to 8:00pm on Thursday, February 15, 2018 at the Elliott Bay Brewery, 12537 Lake City Way NE in Seattle. Are you finding ways to connect with your community? Would you like to make an impact for children? 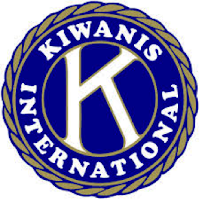 Your local Kiwanis Club, North Central Seattle Kiwanis, is all about kids and improving our community. For over 80 years, we have sponsored Kiwanis Camp Casey, Key Clubs at Ingraham and Nathan Hale, helped with Salvation Army Bell ringing, Tree House for foster kids, food bank and other related projects. However, you will be welcome even if you don’t RSVP. Come and enjoy the evening with us!